To be flawless and perfect in almost every way – that dream became real for the winners of the 2018 Canadian Spa & Wellness Awards, a yearly program to recognize 25 spas that represent the crème de la crème of the Canadian spa industry. A panel of industry influencers judged the submissions – three times as many as last year. 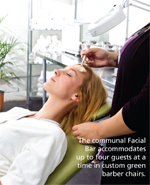 There are three brand promises that Victoria Park Medispa lives by: the expertise of its staff, its wide selection of treatments, and its promise of a five-star experience for all its guests. 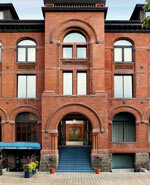 The medi spa is a brand rather than one location – think the Tim Horton’s of medical esthetics. Victoria Park Westmount, Downtown and West Island are the brand’s three main flagship locations in Montreal. 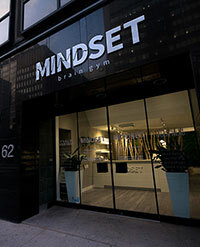 If you’ve come to MINDSET Brain Gym expecting an ordinary meditation studio, you will be disappointed. There are no Buddha statues and crystals here. Stepping into this extraordinary space, the noise and frenetic pace of Bay and Bloor streets in downtown Toronto simply fall away. It’s another world, the world of the mind, the inner sanctum from which true beauty emerges. 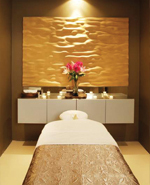 A nod to French wine and Moroccan wellness - Located at Toronto’s Shangri-la Hotel, the luxury spa blends the ornate decor and traditional hammam experience of Morocco with the natural vine-based wellness of Bordeaux, France, all with a clean, modern feel. 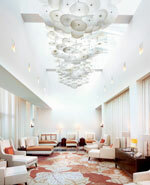 That aesthetic remained consistent when the spa officially reopened in May, unveiling its renovated space. Sibéria Station Spa follows very close to the original concept of a Scandinavian spa: hot, cold and rest until profound relaxation is reached. A 10 to 15-minute drive from Quebec City, Sibéria Station is nestled in a forested area that feels like it is far removed from city life, with the convenience of being just on its outskirts. 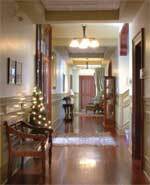 Inside a historic building located in the heart of Toronto lives Elmwood Spa, an urban spa built upon traditional healing rituals and a rich, local history. 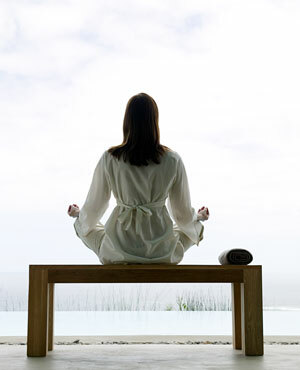 Although the spa incorporates elements from several different cultures, it is truly a love letter to Thailand. 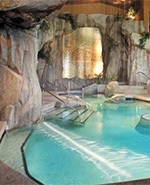 Was named one of Spafinder’s Top 10 Favourite Day Spas in 2010. 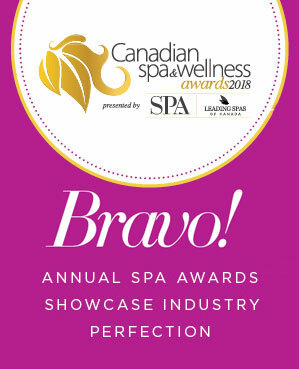 Every year, we at Spa Inc. magazine, and our partners at Leading Spas of Canada, look forward to showcasing the best and brightest of the Canadian spa industry, the cream of the crop. 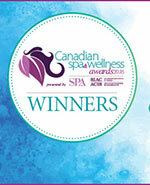 As always, the third annual 2017 Canadian Spa & Wellness Awards introduced us to some new faces and also allowed us to recognize spas and spa partners who have continued to excel. 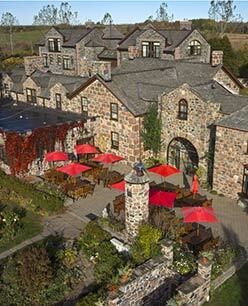 Christienne Fallsview Spa at Sheraton on the Falls has a room with a view. 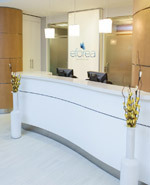 The treatment room (pictured on the front cover) on the 14th floor of the hotel overlooks the grandeur of Niagara Falls. It was built to incorporate the incredible view and a private infinity pool. Niché dans la Ville de Baie-Saint-Paul – à quatre heures et demie à l’est de Montréal et à plus d’une heure de Québec – une petite communauté artistique conçue pour refléter un village suisse, l’Hôtel & Spa Le Germain Charlevoix s’efforce de vivre en harmonie avec son cadre magnifique. 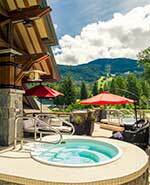 Located in Whistler, BC, Nita Lake Lodge is surrounded by scenic mountains and pine trees overlooking a grand lake. The Spa has been named among Condé Nast Traveler’s Top 20 Spas in the World, and one of Organic Spa Magazine’s Top 10 Organic Spas. For many Canadians, the Maritimes represent the simple life; taking in the wonder of the picturesque landscape and the feeling of the sea breeze on your skin. 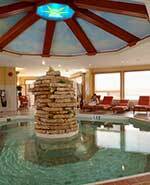 For tourists looking for an East Coast escape, Dol-άs Spa, a 2016 Canadian Spa and Wellness Awards winner, is the perfect fit. 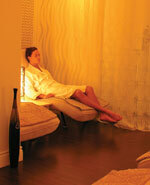 Some of the spas and businesses featured here will be familiar faces, while others are brand new. They all have something different to offer and they have all earned their place in on this list. Living Shore Spa officially opened its doors in May 2016, but the Collingwood, Ontario, spa isn’t starting completely from scratch. 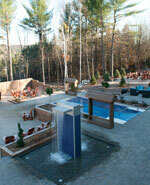 Known previously as Essence Spa, the privately owned facility provided holistic spa services for Living Water Resort. 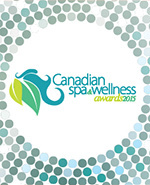 Meet Our 2015 Canadian Spa & Wellness Awards Winners - Each of the 2015 Canadian Spa & Wellness Awards winners have their own specialty and occupy their own unique niche in the spa and wellness industry. Big and small, destination to day spa, they all bring something different to the table. If Ste. Anne’s Spa had a motto, it would be self-sufficiency. Sitting on a 400-acre property, the destination spa supplies its kitchen with beef from its own cattle herd, produce grown in its gardens and honey from its own hive of bees. The Ste. Anne’s Bakery makes its own gluten-free baked goods and spa guests drink spring water drawn from a natural aquifer on the property. 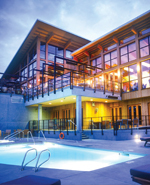 The Elkhorn Resort Spa and Conference Centre in rural Manitoba takes full advantage of its natural setting and its spa is no exception. 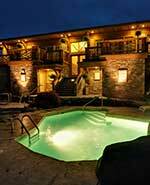 Located in Onanole, Manitoba, near Riding Mountain National Park, the Solstice Spa embraces its rural surroundings in its decor and ambiance. 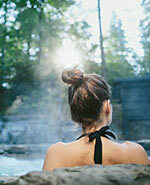 Surrounded by a spruce and cedar forest and mountain vistas, Scandinave Spa Whistler allows guests to feel at one with nature. 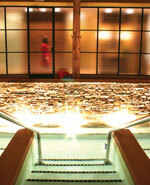 The spa’s baths are the main focus, inspired by the ancient Scandinavian tradition of hydrotherapy. 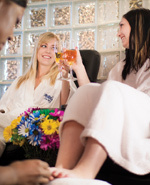 Tucked into the quiet community of Oakville, Ontario is a spa where guests munch on sweet treats and sit in perfectly pink robes while waiting for a pedicure or, perhaps, a chocolate face mask. They talk about pop culture, their social circle and who’s dating who. There’s a local legend in the small town of Watrous, Saskatchewan. The folktale tells the story of an Indian tribe in the early 1800s that faced a savage small pox epidemic. As they wandered the plains to escape the plague, two of the men fell ill and were left in a small tent next to a lake. 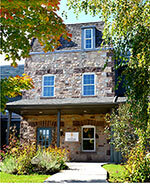 More than 10 years ago, Hilton Hotels Corporation introduced a new luxury location to Markham, Ontario. Only a 25-minute drive from downtown Toronto, the Hilton Toronto/ Markham Suites Conference Centre & Spa is an impressive retreat that boasts the only AAA Four Diamond hotel status in the region. 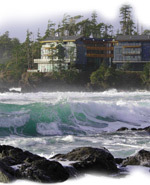 Black Rock Oceanfront Resort sits just off the coast of the Pacific Ocean atop the rocky shoreline of Ucluelet, British Columbia. Its perched position gives guests an opportunity to take in the stunning views and appreciate the origins of the natural marine ingredients that are a favourite at the onsite Drift Spa. 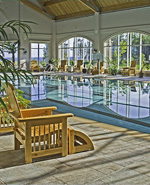 Nestled in the southern coast of Vancouver Island is the serene yet stylish Haven Spa at the Sidney Pier Hotel. Combining elegance with affordability, this community-based spa offers aesthetic and spa services along with a salon and fitness centre to create a full service beauty boutique that will relax, rejuvenate, and refresh.